It's finally here: the sequel to one of my favorite novels of last year, The Defiance by A.G. Henley. She's been kind enough to share some excerpts with us to pique your interest. Enjoy. Only the odd snore rumbles from the other shelters as I crack the door open and slide out. The forest isn’t so quiet. Crickets hum hypnotically, leaves shift and sigh in the breeze, and frogs and bats keep the time with their cries. If the greenheart trees offer the forest its scent and flavor, then its animal inhabitants provide the tune. I slink like prey from dark spot to dark spot, minding the sound of my steps. There’s probably a Groundling guard somewhere. The moon illuminates the path, so I walk under the shade of the tree branches. There’s a luster ahead. For a long time I thought the water hole glowed. Calli finally told me the moon—which I’ve heard can be as slim as a curled-up leaf or as spherical as a stone—reflects in the water hole below. It seems unfair, somehow. The sighted see not only the fickle moon, they see two. The water sweeps softly onto the shore, then recedes, dancing with itself, careless who hears it. I hold under the cover of the forest, soaking in the sounds and scents of the night. After a few minutes, I hear more deliberate movements in the treetops: the low thump of quiet footsteps along the walkway overhead. They stop above my head. A soft birdcall greets me. I wave, letting them know it’s safe. The rope ladder dives toward me, bumping against the tree trunk as it falls, and I steady it as Peree descends. My heart pulses in my chest as he draws near. I feel like I’ve stolen these moments with him, moments we’ll have to eventually give back. I don’t want to steal time with him. I want it to be ours to keep. 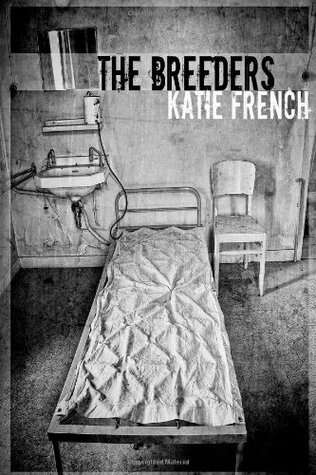 It's officially been a year since I released The Breeders. It's been an amazing ride and I am so happy I've gotten to share my dream with the world. To celebrate I'm offering a signed first edition paperback copy on GoodReads. Enter below and good luck!